With all the news on Iron Man 3 and Superman it’s easy to forget the upcoming Amazing Spider-man sequel. 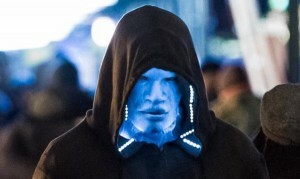 We already knew Electro would be the main villains along with the Rhino and be played by Jamie Foxx but here’s the first pictures of Jamie in the new costume and make up. When you think of Electro the first thought would be the yellow and green spandex suit the classic version had. 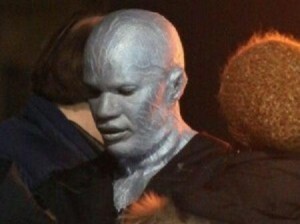 It looks like the Amazing Spider-man version is based on the Ultimate Electro version of the Marvel super villain. The ultimate Eltro was created in a similor way to Spider-man and the Croc in Amazing Spider-man with bioengineering. 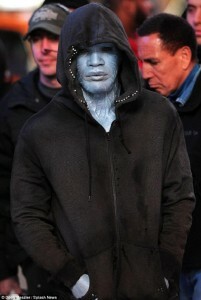 He was scared by experiments and traded to the Kingpin who has yet to appear in the Spider-man movies.